CommonLook has just released an update for our CommonLook Office tool for Microsoft Word and PowerPoint. CommonLook Office is the most effective way to create accessible documents directly from Microsoft Word and PowerPoint. Far beyond the basic accessibility features that are part of Microsoft Office, CommonLook Office guides the user through the entire process of making PDF documents that fully comply with Section 508, WCAG 2.0 AA, HHS and PDF/UA standards. CommonLook Office saves you money by eliminating the need to further remediate documents for accessibility that have been created using Microsoft Office. Tool is designed for use by everyone on your staff, easy to use and understand but powerful enough to support advanced users with complex documents. Does not require prior knowledge of accessibility or standards. Improves upon the built-in accessibility functionality in Microsoft Office with support for Tables and other content that Microsoft Office does not tag correctly. Accessibility and compliance issues are addressed during the authoring process to ensure accessible documents are created the first time. 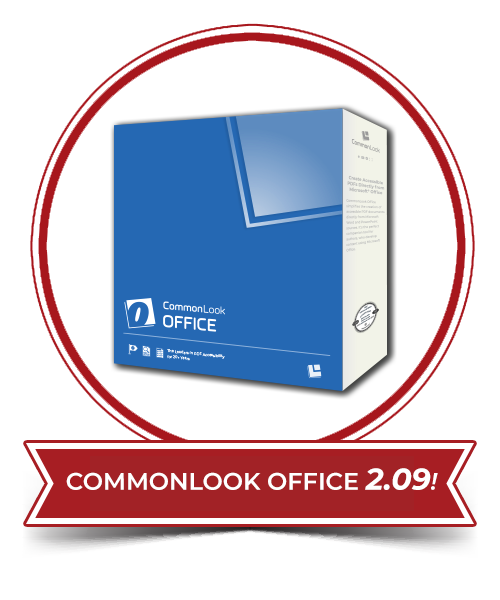 CommonLook Office is an add-on for Microsoft Office that is accessed in the toolbar of Microsoft Office and is intended to be used as part of the verification and creation of any document that will be saved as an accessible PDF. Word and PowerPoint source documents are also saved in a more accessible format by using CommonLook Office in the authoring process and following best practice for authoring. The new feature in CommonLook Office 2.0.9 is that the tool will now perform automate updates, no more need to update on a manual basis. Users will be notified on the latest updates and can update the tool as part of their subscription. Automatic updates can be turned on or off as required by your Information Technology policy. 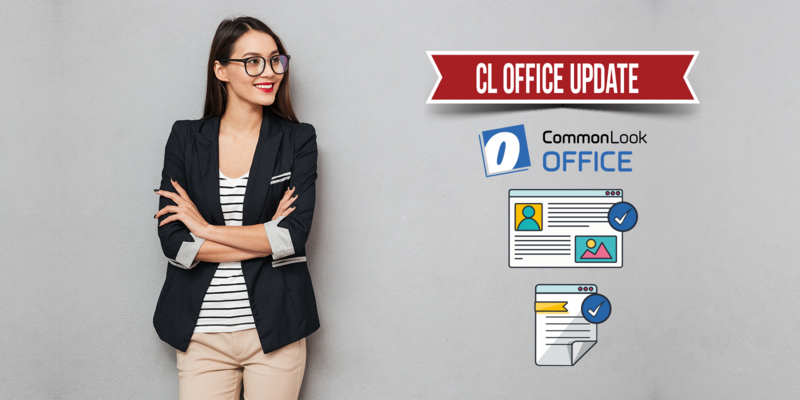 CommonLook Office Update 2.09 Notes. Free upgrades are available to current annual subscription customers. To get your update, please reply to this email or contact kmcbane@commonlook.com for more details. If you aren’t a current Office customer, but want more details, please contact us.